Repeat prescriptions are only authorised by the doctor if you require medication and you attend for a medication check on a regular basis. Please give or send your request in writing (with a stamped, addressed envelope if you wish it to be posted) and please allow 2 working days before collection. However, if a medication is due for review or is not on repeat request, you should allow 3 working days. Please take into account Bank Holiday closures and submit your request ensuring you have adequate supplies to cover the Practice closures. You will receive a computerised tear-off slip with each prescription which you can use for future requests. Requests are not accepted over the telephone (except for housebound patients) as this may lead to mistakes. Please note that we can no longer give out prescriptions to anyone other than the patient without their written consent. This is to protect patient confidentiality. 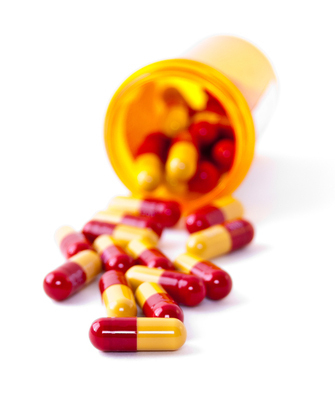 Your medication needs to be reviewed by a doctor or nurse on a regular basis. The next review date is printed on your repeat medication slip. When you submit your request after this date is reached, it will be referred to your doctor who will decide whether the item can be reissued or whether your need to be seen first, in which case you will be asked to make an appointment. If you are a newly registered patient, you will need to see the doctor first for assessment and confirmation of your medication and dosage before your medication can be prescribed. You can request repeat prescriptions online via SystmOnline. You may find this service useful as you can order medication outside of working hours, to be processed when the surgery reopens. Important - when requesting your prescription, if the review date for any of your medications has been reached, you will not be offered the option to order it online. You can make a textual request for the item/s in the 'Notes' box at the bottom of the page, when the doctor will decide whether it can be reissued without an appointment, or whether you need to be seen. Alternatively, you can make an appointment for a medication review with a doctor (or a Practice Nurse for diabetic/asthma medications). In order to use this service you must have previously obtained the necessary security access codes. Please call at reception for details. Please bring photo I.D. with you. three-month PPC – £29.10; this will save you money if you need more than three prescribed items in three months. We are pleased to inform our patients that as a practice we are now operating the new electronic prescribing service. This new service allows us to send your prescription electronically to the pharmacy that you chose to get your medication from on a regular basis, whether this is a local pharmacy or one closer to your work location. We advise that it is best to nominate the most convenient for you to access collection of your medication, as all of your prescriptions will go there. To sign up for electronic prescribing you will first need to ‘nominate’ a pharmacy for us to send the electronic request to. This can be done either at the practice or the pharmacy of your choice. If this is not a local pharmacy, please check with them that they are currently running electronic prescribing. Once your nomination is recorded we will send all your future prescriptions electronically to the pharmacy/dispenser that you have nominated, with the exception of any medication in the ‘controlled drugs’ category. You should continue to order your repeat prescriptions in the normal way, be it with the practice or the pharmacy and all prescriptions will continue to go to your nominated pharmacy unless you notify us otherwise. For further information please see the attached leaflet. Your doctor has put you on repeat medication; this is usually a medication that they expect you to be taking on a long term basis. This leaflet contains some common questions you may have about what this means. If you have any further questions that we haven’t answered here please speak to one of our receptionists. How do I order more medication? When can I order more medication? You can order your medication up to 2 weeks before you run out. If you leave ordering until the last minute we cannot guarantee that your new prescription will be ready before your existing one runs out. This is our time frame for repeat orders; there may be an additional period of time you need to wait for the pharmacists to fill the prescription, which may be dependent on the availability of a product. Where do I collect my prescription from? You can arrange for your prescription to be delivered to your nominated local pharmacy, just ask at reception if you are unsure which pharmacy you have nominated. If you do not wish to nominate a pharmacy your prescription will be ready to collect from your local surgery within 2 working days of your request. I’m going on holiday and will run out while I’m away, what do I do? Speak with the receptionist or write us a note explaining you need extra to cover your holidays and we will arrange for extra to be issued. My medication has reached its review date, what does this mean? All medication has to be routinely reviewed by your GP; this doesn’t necessarily mean you need to see your GP. You can request your medication as usual and if the GP wishes to see you then we will be in touch with you. If you don’t hear from us then your prescription will be processed as usual.